We’re busy working on Season Two of the podcast, but as the new year arrived, I asked some business people around town what they wished for Bonita Springs in the new year, and wanted to share their wishes with you in this short BONUS EPISODE. 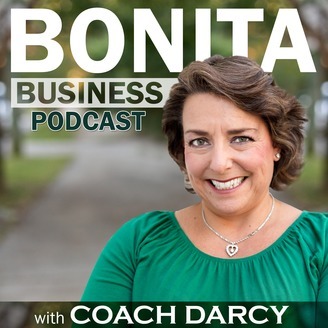 We'll be back in the spring with the second season of the Bonita Business Podcast. Make sure you're on our email list so you'll be in the know. Also, if there’s someone in our community you’d like to hear from, go to BonitaBusinessPodcast.com and suggest a guest right there. Maybe it’s a business you love, a friend, or maybe it’s even YOU. In the meantime, it’s a great time to enjoy Southwest Florida’s winter and catch up on the episodes you’ve missed. No matter when or where you’re listening to this, I’m wishing you and your family a great year ahead! 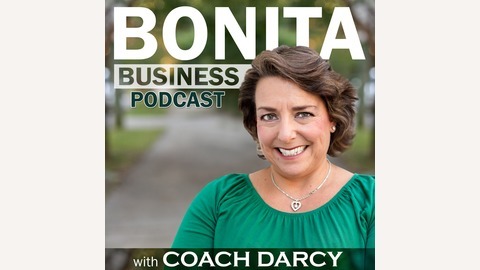 I’m Bonita Business Coach Darcy Eikenberg, and thanks again for being here at the Bonita Business Podcast, and remember, Bonita may mean beautiful, but it also means business.